I work in Duty Free retail in Amsterdam, where Jagermeister, as expected, is a big seller. I noted a few years ago that many Americans purchase it, and I asked a young man once (knowing that, as a rule, spirits are cheaper in the States) why he was bothering. 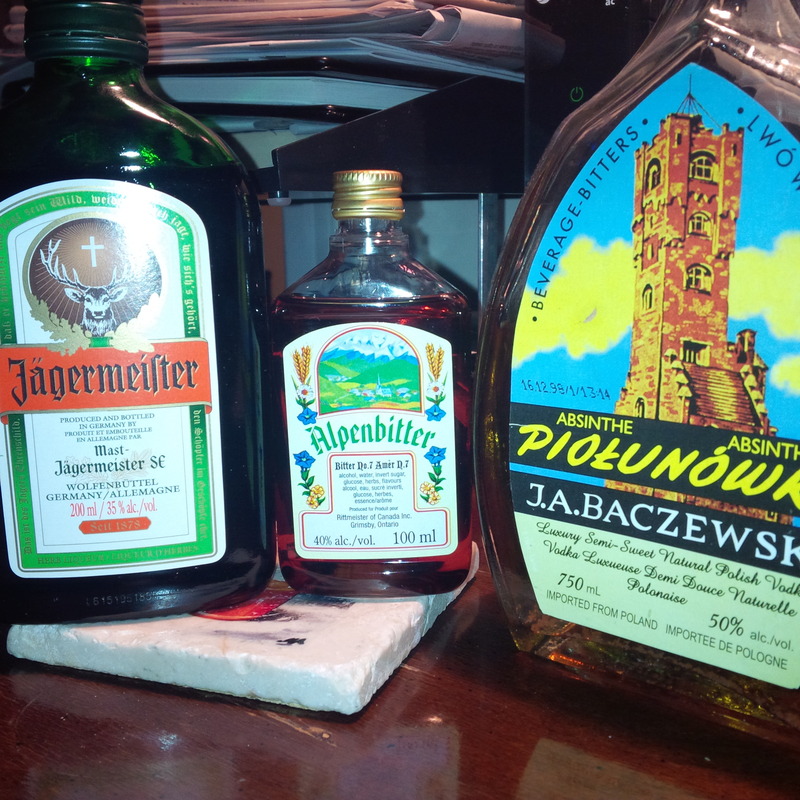 He said that he travels often and always buys Jäger in Europe as it “tastes better”. I was skeptical, but I’ve subsequently heard this many many times. Interesting. Can it be a different formulation is used for Europe? Possibly, although I’d think not. I found the drink on the sweet side, kind of mild, with a pleasant herbal and light anise note. Not sure, but this was told to me several times! You got me… I thought this would be about the ‘boring brown beer’. Yes a Manhattan is very good and remarkably like the Jager IMO. Try, say, any good Canadian rye and red vermouth, plus dash of Angostura. Very easy to make. A good bourbon is suitable too. In the section on U.S. liqueurs, there is a picture of the same bottle I reviewed, except the bottle shape and label have changed. It is still 50% ABV but that appears to be the export version, the European one (domestic) is 35%. I’ll be in NYC soon and will try to find it as my bottle, while 1/3rd full, has suffered some oxidation. I think the bottle was probably long in inventory even when I got it as the website explains production stopped in Poland in the late 1990’s. Dillon in Ontario, the craft distiller, makes an absinthe bitters but this is I believe for use with cocktails, it is not a beverage bitters I think.